Space Systems/Loral (SSL) announced in July 2013, that it was selected to provide the Eutelsat 65 West A multi-mission satellite to Eutelsat. The satellite will open new markets for Eutelsat for broadcast and broadband services in Brazil and across Latin America. The satellite provides approximately 16 kW of power at end of life. It is equipped with 10 C-band and 24 Ku-band transponders for video services in addition to 24 Ka-band spot beams for broadband connectivity in key regions. Also on baord is an experimental Extremely High Frequencies (EHF) payload using the Q/V band (40-50 GHz) as an enabler of future Terabit satellite broadband programmes. 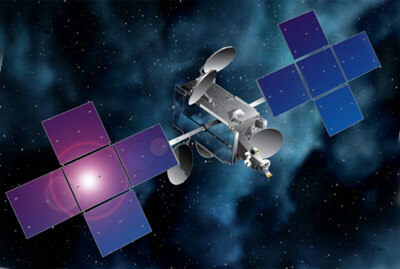 Eutelsat 65 West A is based on the SSL-1300 satellite platform. Scheduled for launch in early 2016, the satellite is designed to deliver service for 15 years or more. Eutelsat decided in October 2015 to launch Eutelsat 65 West A as a single passenger on a dedicated Ariane-5ECA rocket in early 2016, as due to delays of the planned co-passenger no suitable co-passenger was available. It is located at 65° west longitude.